We elevated the course experience for this big finance guru. 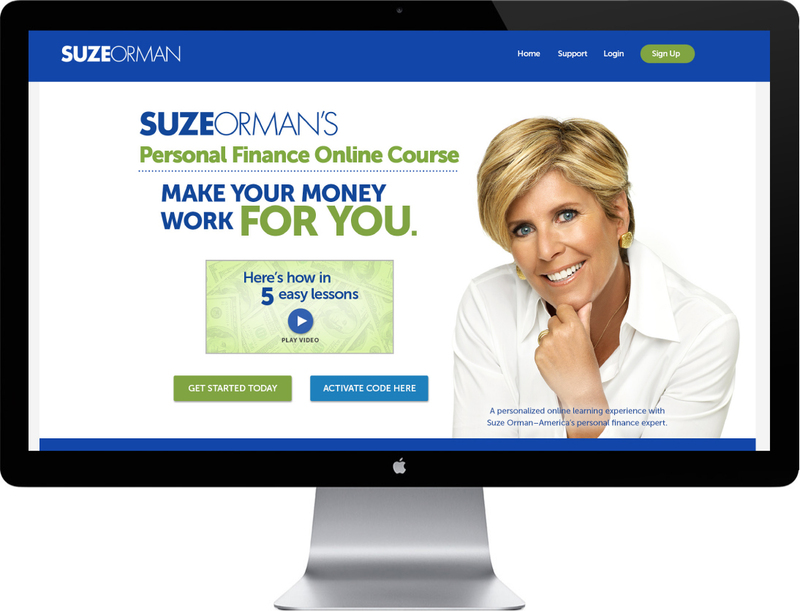 Suze Orman needed to revamp her online course. Her current platform had low engagement and users had major issues with the course flow. We worked with Katana to transform and simplify the entire platform. Suze threw in some curve balls with tight deadlines and launching the course nationwide on the Today Show. We think we rocked the challenge. We had a tight turnaround on revamping the design as well as making this fully responsive (mobile-friendly). 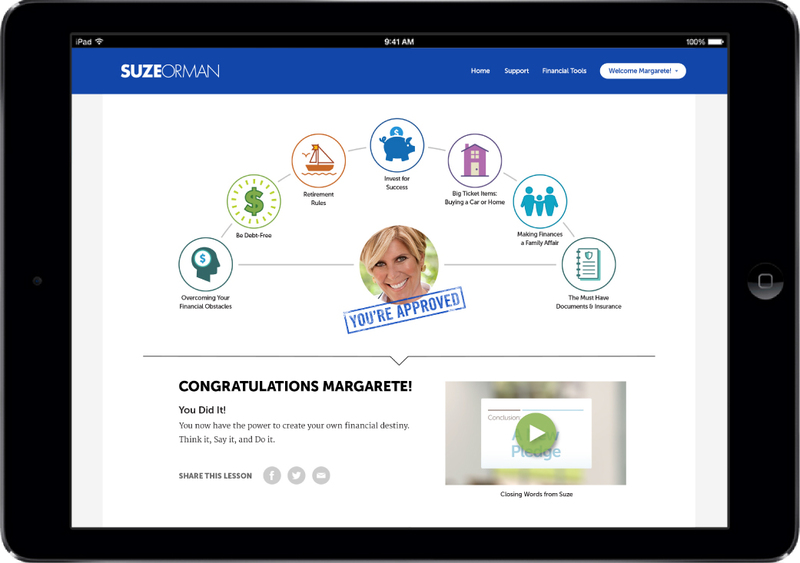 Additionally, Suze was on vacation during our concept and design stage, so we had only weeks to nail the entire site. 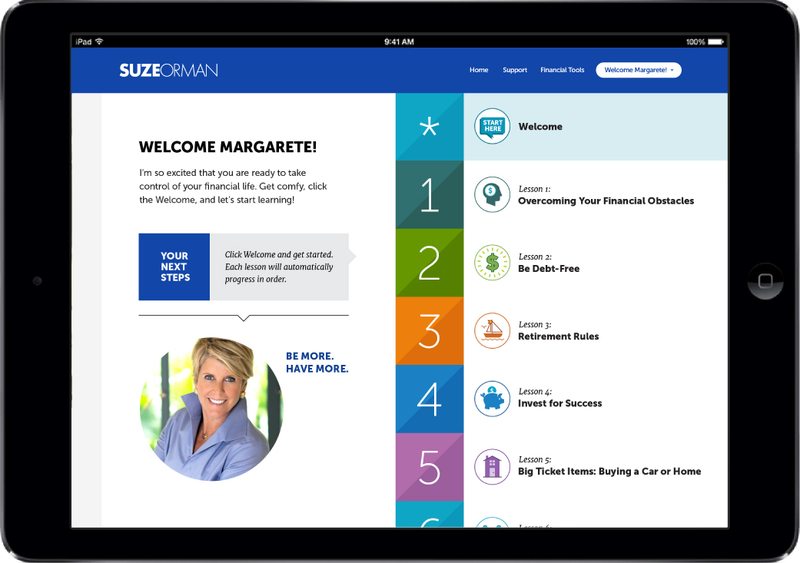 And not only we were wowing her, we needed to wow her business partner and Suze’s fans. Money stuff is complicated enough, so the solution was to make the experience enjoyable and impactful. A site you’d love and share with your friends and family. We created a super-easy-to-navigate framework and enhanced the overall aesthetic with big, graphic numbers, custom illustration icons for each module that have a bit of whimsy to match each module, and we simplified each module layout. We made the main welcome dashboard easy to access previous modules, and added a welcome message, so it felt friendly for viewer. The result was a huge hit with Suze and a major success on the Today Show. Project Credits: Strategy & Web Development by Katana.